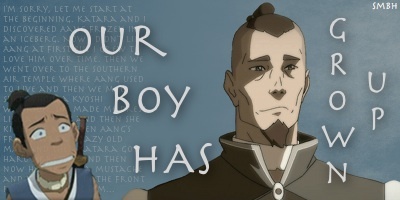 Seconding wanting more Bolin, Mako isn't nearly as entertaining and is only really good for "MY PARENTS ARE DEAD!" jokes. Asami just adds to the blandness, hopefully she improves or its all an act. So I assume that one villain that fought Aang that Tarrlok mentioned must have some importance, what with the flashback to the older Gaang. Perhaps he ties into Amon and his followers? If anything, after seeing the whole episode, I was seriously more in love with Bolin then Mako. Bolin is just a good guy, and I'd love to see he and Korra, if not get together then, get into all sorts of shenanigans lol. Yeah, I got to give credit to Tarrlok, he's actually much more cunning and proactive than I thought. He seems to have members of the council fooled too. They probably think Tenzin is a wet-blanket compared to Tarlock and his cleverness. No wonder Tenzin couldn't afford to leave Republic City to train Korra. Tarrlok is quite... dare I say it... Xanatosian. A slimier, sleazier version of him. Though with Xanatos there were only a couple of times when he did or said something that made me want to punch him, and with Tarrlok it was at every word and every action and every facial expression. I cannot wait for these flashbacks. Also, this hopefully means that we'll get flashbacks of Katara as well, which I'd love to see. too many feels right now. Did...did Amon just straight-up punch Korra in the face? Of all the things I expected from this episode, that might've been the thing I least expected. ^ That was my first impression, but I think he Chi-blocked her neck or something to knock her out. Why did I come to this thread? I don't know too much about this episode, since I only saw that seven minute ending clip, but I can say I'm excited to see Korra growing out of her immaturity in how to handle situations. And I'm glad to not be a single shipper in this regard as well--cause tumblr bothers me with that Makorra madness. I like Makorra, I like Borra, I like Masami. So I'm happy! And I'm just gonna ask now and get it over with. 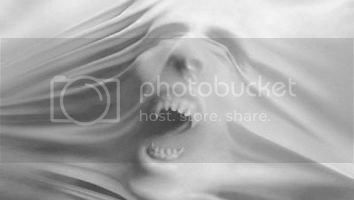 I know there's no sharing of links on the forum, so ~snip~ nope, not allowed. I think this might be the part I am looking forward to the most, Korra having flashbacks of Aang. Oh, and it's fair to say that I have a mad crush on flashback Aang and Sokka. Wow. Need moar backstory on what was going on there. Lastly, Tenzin ♥ He is so paternal and comforting. I love Ikki and her opinions and exchanges with Tarrlok. I love Korra's flash to Sokka, Toph, and Aang. I also like how she thought Tenzin was Aang. "Aang?" 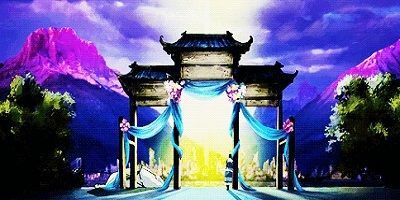 They're definitely setting up Korra meeting with Aang. I also like that Aang had to deal with something in Republic City 42 years ago. Yakone was it? I like that other things happened that we don't know about. Perhaps Aang will tell Korra of this. I think Amon has something to do with Yakone(sp?). The way I interpreted that was more like a "When I was young like you" instead of "When I was your exact age". But, it's entirely possible that the line was written with that particular intention and that Mako is indeed 18. Also forgot to mention how awesome Amon is at being a villain. He actually has foresight here. He is right on the money that if he destroyed the avatar without the majority of public support, she would be seen as a martyr. Especially because she is still a young(ish) girl. He just brought her there to intimidate her. And it so worked. Korra is gonna have to face those fears in a whole new way. Can't wait to see Tenzin helping her with that! Also, the council really does seems to be all benders. Would it kill them to double the membership to ten and split each nation's seat between benders and non-benders? Still, it was a hell of a hard chi block. He punched her. Glad this series is able to show fist action and BTAS levels of violence. No, because I don't see any reason that he would know Mako's exact age. That's what I'm thinking. Solely from the website, it seems bloodbending will have a more prominent role in this series. Could certainly see it used for extortion. ^If he did, that would make him creepy. Cause that would mean that he had him...watched. For merely glancing at his daughter. It seems much more likely that he simply knows (guesses) that Mako is less than 18. Since he would have been dirt poor until age 18, he wouldn't have to know Mako's age, only that no matter what it is, he was poor then. Yeah, Amon's creepy. However, I'm not really sure about the sexual assault angle, at least as an intentional metaphor. What Amon's assault really is about it losing agency, losing power. Korra is no longer in control of herself, in control of who she is. he has power over her. Now all that does appear in sexual assault, as sexual assault are a form of power/control. But at the same time, I don't think it's specifically meant to be about sexual assault as it is the general feeling of having your control/world taken from you and any work that deals with those themes will have an undercurrent of sexual assault, because it also is related to those issues. If that makes any sense. Interestingly, Amon knows that going after Korra would result in a cause celebre for the rest of the world. So he's actually wise to the possibility, which means he's not likely to go after the last few airbenders until he's good and ready. I'm really, really hoping that Korra's solution to Amon is figuring out she needs to get more thoughtful, and undercutting his revolution by proposing the reforms herself.